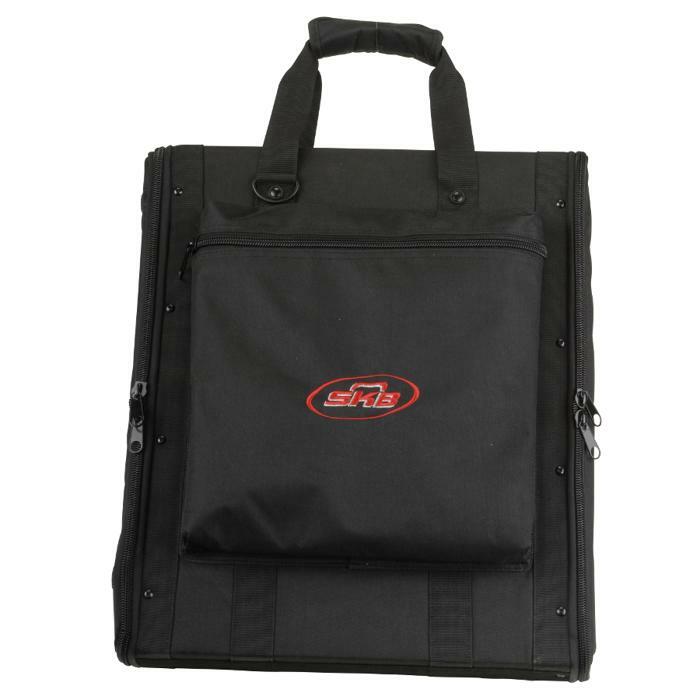 HxWxD: 2U x 19.00" x 14.80"
The 1SKB-SC191U, a 1U rack size, is constructed of a wood core covered by 600 Denier Nylon. 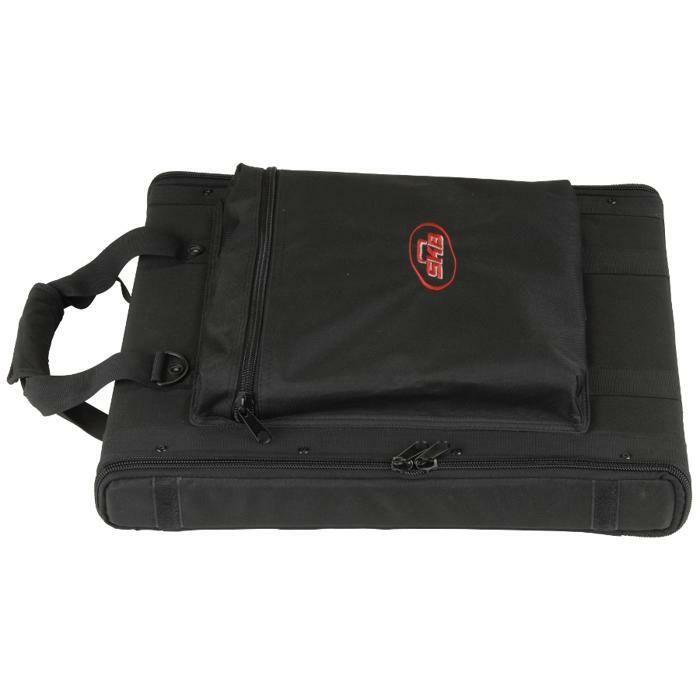 This soft case has been developed with the focus on portability and includes an adjustable shoulder strap and loop handle for easy transport. 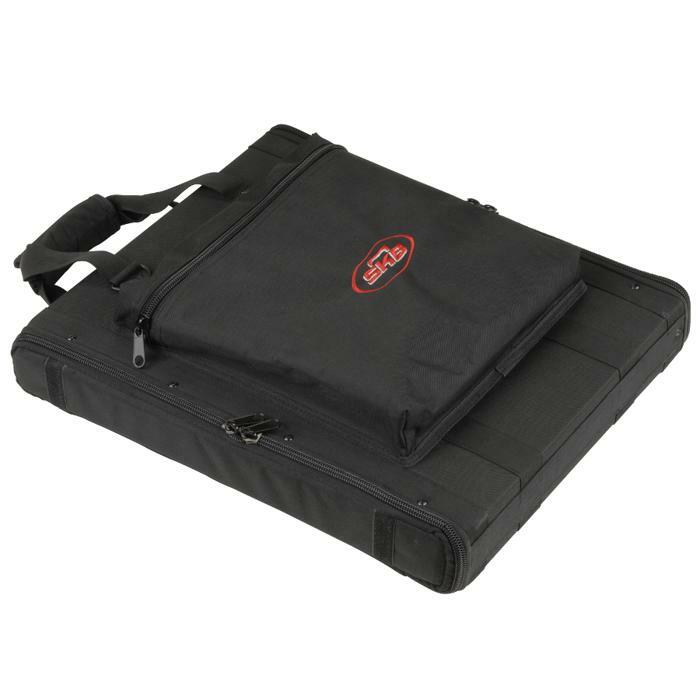 The case can be used for transporting testing or smaller rackmounted equipment. 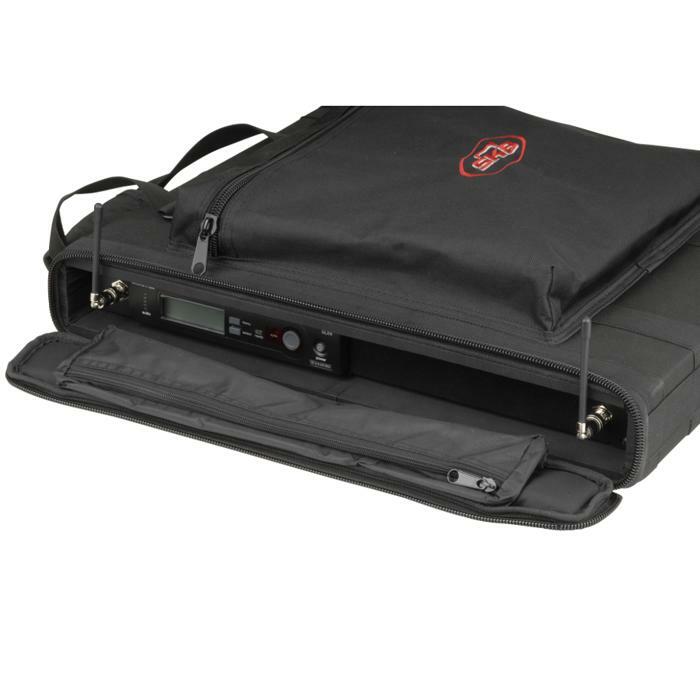 The 14.8” depth (front rail to back flap) provides plenty of room for the most popular wireless systems. 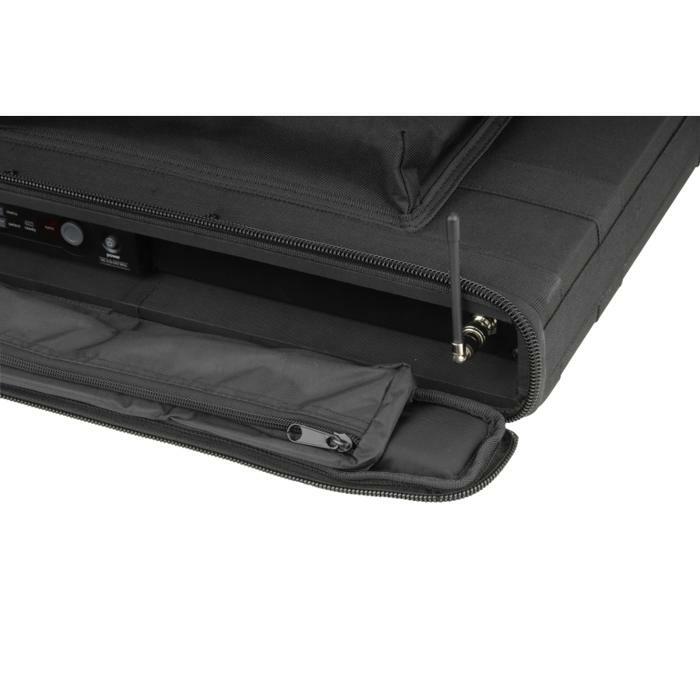 The padded front and back lid has heavy duty zippers that allow for the flaps to open fully and fold underneath. 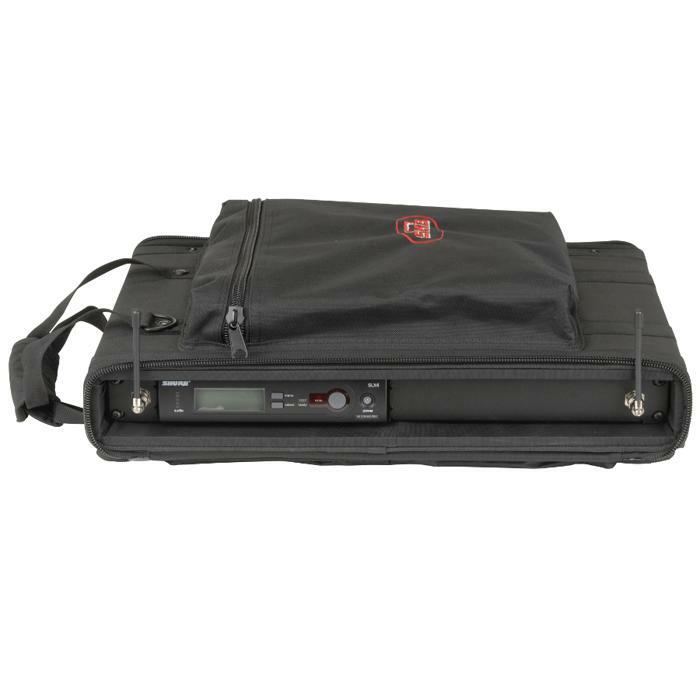 A zippered pouch on the inside front flap provides excellent storage of wireless mic antennae. 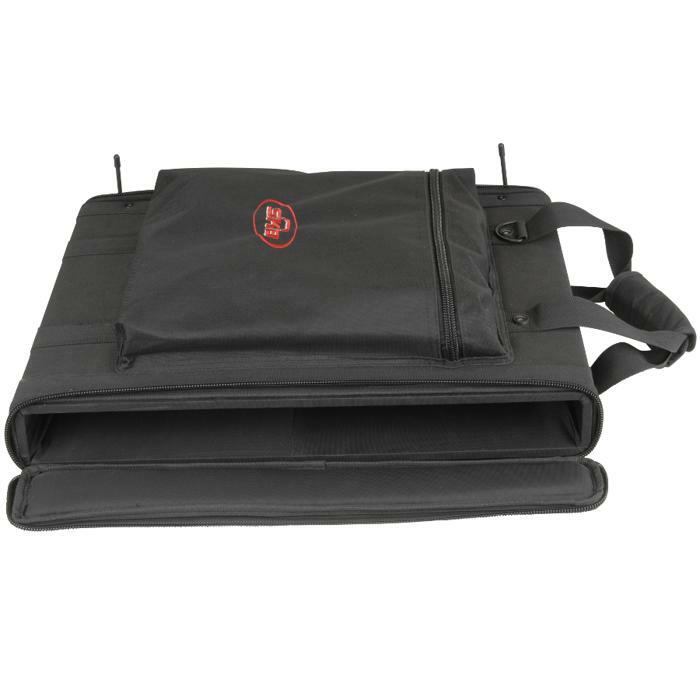 An ample sized exterior zippered pouch is ideal for cables and/or body packs. 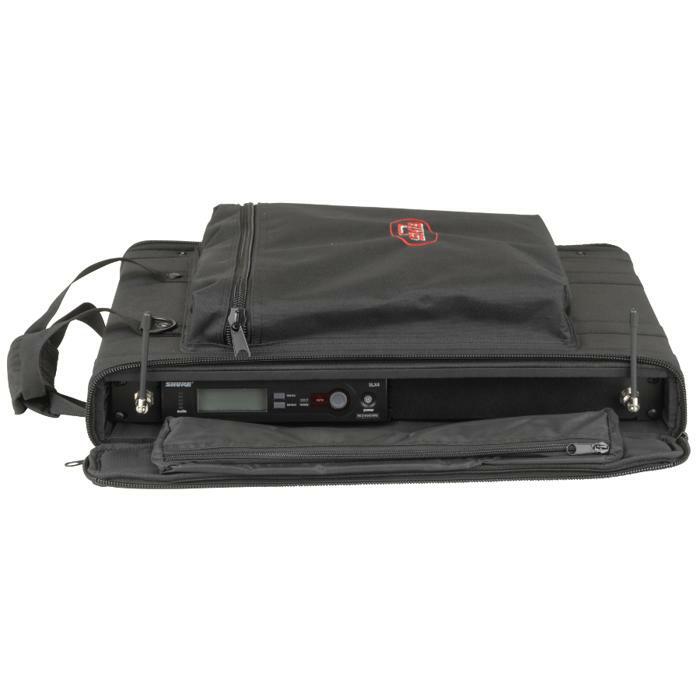 Threaded steel rack rails are recessed to provide protection for equipment controls without inhibiting proper antennae placement. 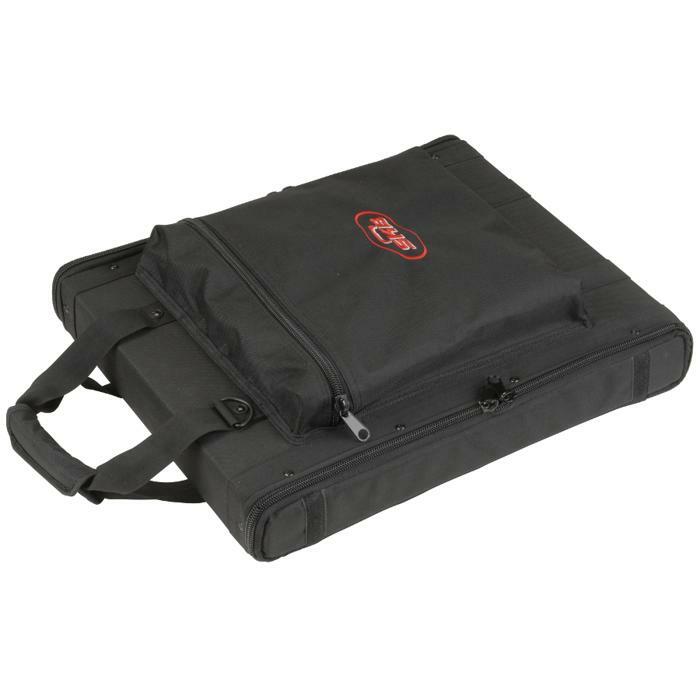 These cases are covered by SKB’s one year Soft Product warranty.